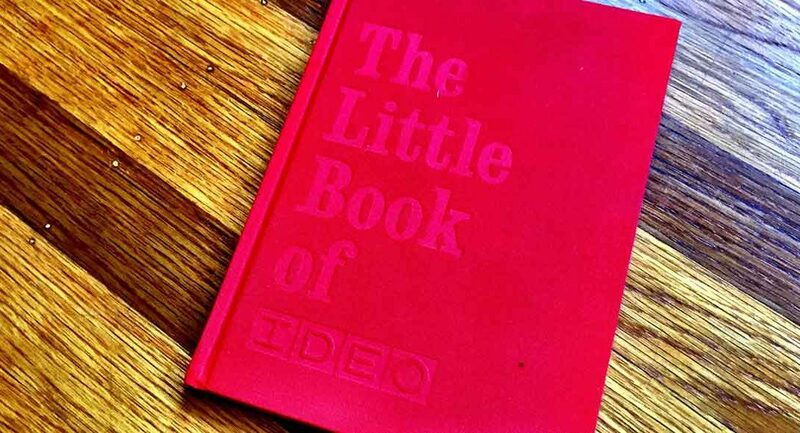 When a new employee joins the design firm IDEO, they are handed a copy of The Little Book of IDEO. This little red tome walks through the firm’s founding story, organizational values, and best practices for being successful both individually and collectively at the company. 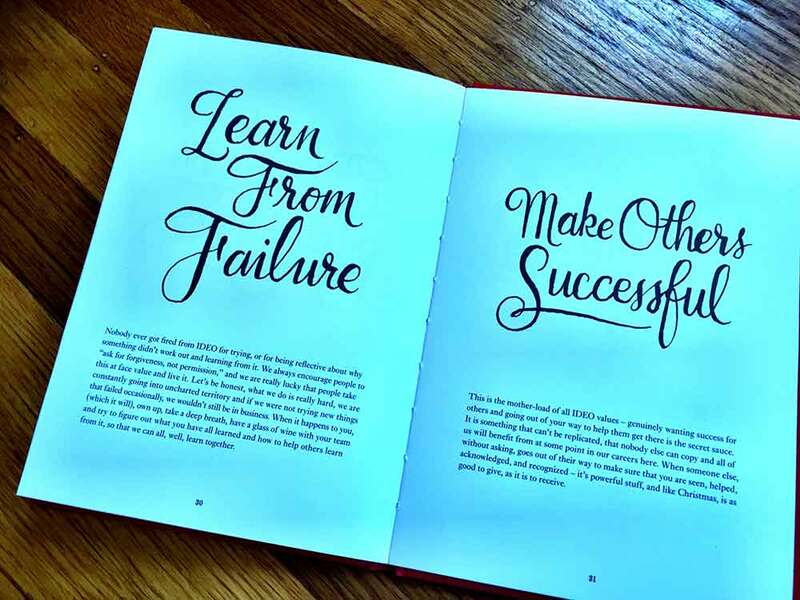 Most companies have mission statements, but translating lofty sentences into day-to-day committed practice is a significantly harder challenge, especially when you are in the business of design and innovation. Founded in 1991 by David Kelley, IDEO is known for many innovations in the digital space, including Apple’s first mouse, the first Treo, and the Tivo remote. In recent years, they’ve pioneered human-centered “design thinking”, a term Kelley uses to encompass IDEO’s wealth of creative problem-solving approaches and practices used to generate innovative solutions to business problems. The company has grown from their first Palo Alto office to a globally renowned innovation firm with presences in cities across the country and international centers like London, Munich, Shanghai, and Tokyo. Impact can permeate all levels of a company’s operations. At the highest level is the impact of a company’s products and solutions on global users and trends. For consultancies like IDEO, impact on client companies is the next layer underneath and includes not just the output of project work but also the impact of thought leadership. Successful engagements often change how clients think and operate even when formal involvement has concluded. Aside from impacting users and clients, employees at IDEO have also striven to impact design education, creating products like OpenIDEO and DesignKit to share design methods and case studies as well as inspire collaboration to solve major global challenges. Thinking of the company as a country whose citizens share and uphold a core set of values has helped IDEO maintain an innovative and open culture despite rapid growth. “For a human-centered organization, it of course makes perfect sense that our inner core, the magma at the center of our earth is our people. We are all in the business of design and innovation, and our overall success is dependent on the overlaps between everyone’s skills. We are, all of us, creative people at IDEO. All of us,” insists Bennett. How can an executive ensure that their team or department upholds cultural values? One strategy is to hire people who already express those values. Since one of IDEO’s core values is “Be Optimistic”, the company focuses on hiring people who can get excited about future possibilities in just about any field. They subscribe by a quote from Jay Chapman the Chief Happiness Officer of Pret a Manger, a British sandwich chain, which goes “You can’t hire someone who can make sandwiches and teach them to be happy. So we hire happy people and teach them to make sandwiches.” Another strategy is to implement processes and company-wide habits that promote the values. For example, to promote collaboration, everyone is encouraged to go out of their way to acknowledge everyone around them by using the word “we” rather than the word “I”, particularly when work is reviewed. Preserving the company’s values is not always easy, especially across deep cultural divides. Michael Peng, the co-founder and co-Managing Director of IDEO Japan, started his career in the company’s Palo Alto office and later helped open their New York office. When he made the leap across the Pacific to open their first office in Asia, he discovered that IDEO had to adapt their culture to accommodate risk-aversion in both Japanese clients and employees. IDEO employs multiple strategies to make their cultural work even with ingrained geographical differences. First is education. Clients in Japan are often not used to asking for help and not sure how to work with companies like IDEO, so Peng and his team invest time in explaining what the company does and the unique philosophies and processes they espouse. Next they allow clients time to build up trust by encouraging small wins and meaningful conversations. A client may require fifty conversations to be convinced to do a small workshop, but that workshop leads to a project, which eventually leads to collaboration on future strategy. Finally, Peng and his team created tools and project structures that fit within the context of Japanese corporate culture. In Japan, corporate decisions are often consensus driven, meaning managers at each level must sign off before a project can move forward. What Peng discovered was that often a point person at a client company did not necessarily need answers up front, but simply needed proof of progress to justify continued IDEO engagement to their bosses. Knowing this, IDEO Japan added more frequent check-ins and major milestone meetings and also equipped clients with more concrete deliverables as well as storytelling tools to better communicate the work being done. While the design process, like in any other country, is still fraught with ambiguity, empowering clients to be better storytellers within their own companies helps lend a narrative structure to IDEO’s work and gives clients a frame of reference that fit within their own cultural expectations.